MixMarvel's co-founder YiYi took the time to answer a few questions about their latest game HyperDragons, a turn-based strategy dragon fighting game with a bit of castle building. 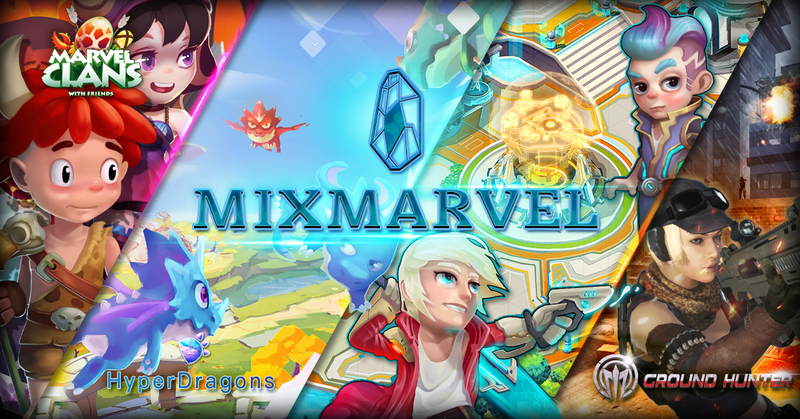 During the interview, we had the pleasure to look at the technical challenges that MixMarvel had to overcome to provide a gas-free and smooth gameplay, as well as shed light into the features that HyperDragons has in store for us. Unexpectedly we also had the pleasure of discussing MixMarvel's first-person shooter briefly on the blockchain; please enjoy. What has MixMarvel done before? Well, we have done quite a lot of games overseas focused on social and slightly competitive games. We had a quite successful game called Squids and Toy Wars and few others social games as well. We were among the first to do mobile games and caught the wave while most games were coming out on PC. Squids was the one that caught the wave of games being popular on mobile. We are very sensitive to new technologies this is why we are working on exploring the blockchain, just as we did when games were becoming popular on mobile, we think blockchain is this new wave. Why did you decide to make a medieval dragon fighting game? We are traditional firm that develops games for multiple years, and we saw the opportunity and potential of the blockchain to revolutionize the gaming industry. We wanted to start by learning and seeing how to create blockchain games, and slowly transitioning from traditional mobile gaming to blockchain gaming. In doing so, the first important decision was what original creative story we want to create and secondly what gameplay style did we want to use. Right away we choose dragons because quite a lot of our developers are from China that has lived overseas, so we have a strong attachment to Chinese culture. This was a very creative idea that could interest the wider audience as well as choose a key Chinese symbol. We played with this idea, even before CryptoKitties come out, and at that time we felt that gameplay was fundamental. Rich gameplay is the core even though the blockchain has many problems like the gas price issue, it not being fast, and being too costly to play. Even if there are these issues gameplay is still the core. So at the time, we wanted gameplay that was rich enough and exciting enough to attract mass users. With that in mind, we decided that turn-based combat is a good idea and later we upgraded it to grand strategy with turn-based battles. In the first phase we will release turn-based battles, and two months later we will release the grand strategy feature. Those are the core features of how the game will develop in the coming months. Overall all, there are two aspects; one is the creative where we chose dragons to tell the story of the dragon universe and about the kingdoms within it and two is the gameplay that is rich enough to demonstrate that blockchain games can carry massive gameplay as well as target the mass audience. You touched on this already, what market is HyperDragons aimed for? Whom would you consider to be your competitors? Currently, the industry is at a very early stage, so you can't see huge competitors, everyone is working on themselves. Everyone is contributing to the industry trying to move the technology forward, even though there are people who are in the gaming industry solving problems like the publishing issues just like we did. We solved problems related to the expensiveness and then the slow speed of the games. The market is not at the stage that we have to knock out each other, but it's at the phase that we are all solving problems to make the user experience better on the blockchain and see what the blockchain can do for gaming. That's our view about the competition. As for the market, primarily for blockchain games, there are no territorial barriers, you can see how global blockchain is, and just because we have a dragon it does not mean that western audiences won't like it. The market is very global for blockchain games not like in the past where we needed a server for China, a server for America, and a server for Europe. The only issue we have to concentrate on is that there a people who don't just build games on Ethereum but on other blockchains too. That's the difference between the blockchain gaming world and the traditional gaming world. We are not worried about territory anymore, and people are very open to trying new exciting things, what we need to concentrate is on the other blockchains that are rising, and that's going to define our market. That goes back to the competition issue because we need to make it easier for everyone if they want to transition from one blockchain to another blockchain, that is a technical barrier that we need to break through. What makes HyperDragons standout compared to other blockchain games? Firstly from an appearance side, you can see HyperDragons has a lot of gameplay that is fun to play compared to many cash cow games in the industry. That is just from the appearance, but the core of HyperDragons was intended to solve problems that the industry continually faces. Not only is it a creative product but you can also see the technological challenges that we are taking on. This is unique for a blockchain game as we are trying to tear down the barriers that come with this technology. For example, we're releasing a game with combat and strategy in a few months, but in July we inserted decentralized exchange toolkits. We worked on the code to make it faster compared to the public blockchain because of the public blockchain's Smart Contracts limited our capabilities and did not support massive coding. So we worked on optimization to fit as much content and gameplay as possible. Moreover, in September we released our core gameplay the Rocket Arena, and you can play it out and see how smooth and gas fee-free it is. We inserted the protocol called Tenfold protocol which is an on-off chain solution that allows the gameplay to be recorded and validated. Whenever anything important like the results or the status of the game it will be recorded and sent to the blockchain to then be validated, using the decentralized system. The effect of that is the battles don't cost gas fee's anymore, and users can enjoy the smoother gameplay. We work with Binary Mint even though at their concept stage and we support incubating the protocol, we inject our understanding of blockchain gaming within it, and together we can build an excellent product for the future. So what makes HyperDragons stand out over overall it's the content but also the technology behind the game. Blockchain gaming is still in early development, so its a test field, with many problems that need solving and that's what we are doing. How are dragons created? Are there any essential characteristics to look for? There are several ways to do that, first way, is a way that a lot of blockchain gamers might know, is via the marketplace where new dragons will appear. Those Dragons are going to have a phenotype and genotype that are randomly generated. Then we have breeding, so players can buy dragons from the marketplace and make them breed with other dragons. Breeding can cause new dragon types to appear. Then we have special species, they are very unique dragons that appear for eight hours a day, and they can be had at an auction basis. Once bought it cannot be purchased by anyone else, and you'll have to wait for another to appear for auction. Each dragon have characteristics related to combat; we have skills, hit points, the phenotype, etc. so everytime you breed a dragon you are considering for the best match possible with the best skills. On top of combat dragons also have mining power another core element in the game that players can focus on. However breeding between two powerful dragons might see the creation of a super strong dragon, but this is not guaranteed only more likely. Players don't have to breed to get a better dragon. They can fight in the arena earn glory for the dragon and then sell it in the market and buy a better dragon. We leave it up to the users to choose. Glory can be gained in the arena after every victory, and it is another core element that should be taken under consideration when looking for a dragon. How do players fight the Battles? Basically, after we applied the layer two solutions the game became very rapid, in a lot of blockchain games the arena takes ages to play out if it works on the blockchain, you have to admit. It takes so much time to calculate and validate. Our system takes five to ten minutes per competition. Firstly let me describe the competition, then we can discuss how the players can play. There are tournaments for newcomers where they can test out their new dragons. It does not cost much for them to join the tournament. Then there are tournaments based on skills, appearance, and we even have the traditional tournaments restricted on a generational level which are separated in groups like Bronze, Silver, Gold, and Platinum. For example first gen is restricted from 0 to 15 (Bronze) then another generation is from 16-40 (Silver) and so forth. Previously the tournaments were restricted to only 32 because the blockchain could not handle it too much. Currently, we can accommodate 2048 participants. To sign up for the tournament players can pay a little fee, in Ether or our token Dragon Series Token (DST). After they sign up the screen shows how the tournament will happen, players will be pre-paired one to one randomly. Then the fights get reorganized 32-16-8-4-2 paring the winning fighters as the tournament goes on, just like the world cup. During each fight, the screen will go into the fighting screen. The match itself will be played by selecting attacks during every turn until only one remain. People can view the fights, but the fight won't happen right away allowing people to submit their predictions of the fight. Once the prediction is made the fight can be seen played out. There are quite a few geeky players that will take their time and look at the dragon's stats, to predict which of the dragons will win. If you win a battle and your dragon gains glory is that the only way to make your dragon stronger? Yes, for now, the more glory you carry, the more advanced your dragon is, so dragons with five-six glory means that they have won quite a few times in the arena. Glory is only given to the first three places in the tournament. The other options are to breed a new dragon. Each new generation has increased stats making it stronger. If you have a special dragon and gen 50 dragon breed you will get a powerful new generation dragon. Alternatively, you buy a stronger dragon from the market using your winnings. What is the best way to make a prediction, what are the signs to look for? Currently, our players, play in the arena and analyze the dragons a lot, looking at the skills, generation, and the phenotype as well. The phenotype can have some skills that are not obvious, which players have to predict. One such ability can be the escape skill, a dragon can escape, but such skills are hidden from players. It's common for players to go to the arena first after a few rounds get a taste of the game and start predicting. These players understand how the arena works and how to determine the winning dragon. They can even look at the dragon's mood to see if they are happy or sad, and make a prediction taking that into account as well. Apart from dragon battling, there's castle building as well? What should players focus on first? Castles are the strategy part you need to collect resources from the surrounding infrastructure. The primary purpose of the castle is to generate DST so that you can battle, breed, and make a prediction. The more players upgrade their castles, the more players can earn DST. The primary way to earn more DST the first is that you upgrade your castle to produce more DST and more space for your dragons to sit in. For example, if you place three dragons in the castle, you'll make a little DST if you upgrade you can put eight dragons and earn more DST. The bigger the castle, the more slots you have to put the dragons in. However, there are two limitations to the castle. The first is that the resources are limited you can only collect a certain amount of resources and DST per day. The second is that players can come and attack the castle and then steal the resources, so you have to put dragons to guard the castles to prevent this. Wow, so it's real war? If players lose DST, they risk losing real money. Yes, but players can only steal resources they cannot take DST. We were contemplating this, but we decided against this because it might be too harsh for players to lose DST. Expanding a kingdom must be hard, is there a battle fought at the enemy’s castle or are kingdoms won and lost in the arena? 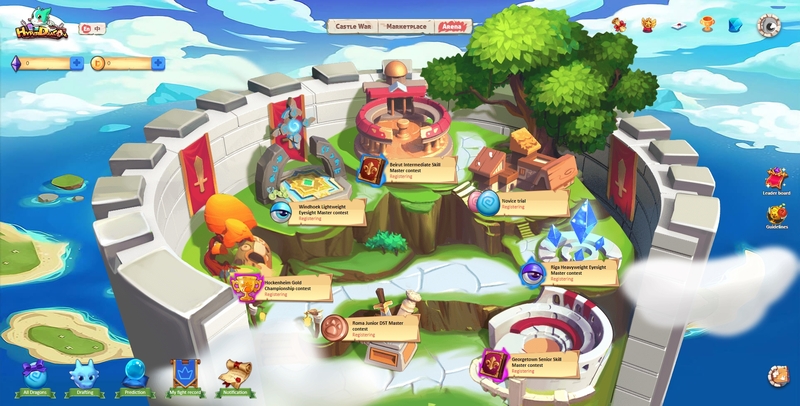 The castles appear on a big map but it is not linked to the arena, players can select another castle and attack it to gain resources. In our next phase, we are actually going to open up a bigger map. Players can work together to attack another player, allowing players to make coalitions increasing the fun that can be had in HyperDragons. What is the roadmap for HyperDragons? Basically, the roadmap has two aspects. The first is the technical aspect focused on facilitating newcomers to join the game, find ways to expedite the process of installing the wallet. The second nontechnical aspect is to continue improving the arena and use the layered two solutions for the castle system as well. In that case, we can bring the bigger map which can give instantaneous gameplay, allowing the implementation of massive castle wars. Then we are considering the idea of bringing in weapons for dragons, to enhance the skills of the dragons further deepening the gameplay. Do you think players could be interested in winning losing kingdoms in the arena? Well, that's an interesting idea, we can discuss it, maybe we can do a save the kingdom in the arena. That's an interesting idea to put the kingdom and the arena together. We'll have to discuss with the team and see how implementing this can work. Players right now have only one castle so it might be too harsh but if we allow them to have more, it can be an exciting feature. What can new players have access to today? Everything we discussed is online, HyperDragons is already up, and the arena is already available for players to try it out. Unfortunately, if you are a new player, you'll need to get a dragon from the HyperDragons market if you want to play. We will remove that barrier later, but for now, they will need to buy a dragon. Once they have a dragon they can do the entrance tournaments and battles, there's a new tournament every 10-15 minutes for players to try. They can also breed dragons to fight in the higher level tournaments and make predictions. Castles building and castle wars are available. You can attack other players and steal their resources to build up your castle to better collect DST. Is there anything else that the community should look forward to? The clan system will be out soon, but before that, we will be allowing players to make their own rules for the arena. They can essentially set their own tournaments and rewards, giving players more freedom making HyperDragons more decentralized. 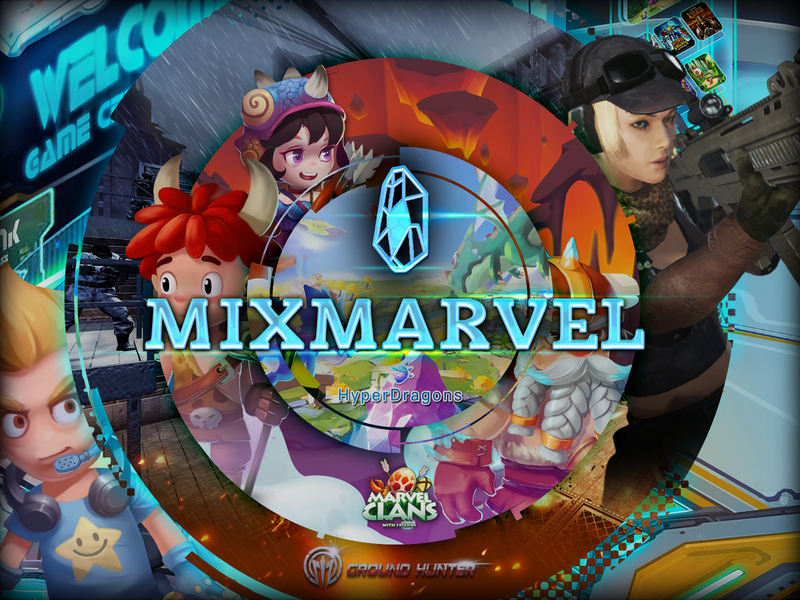 MixMarvel is going to push blockchain gaming with its gaming community sharing with them their games and expertise. Eventually, we would like to build a community around the games that we make and gradually get more traditional gamers involved in blockchain gaming. Then what should gamers look forward to next? There is a first-person shooter game that is going to be incorporated with MixMarvel. 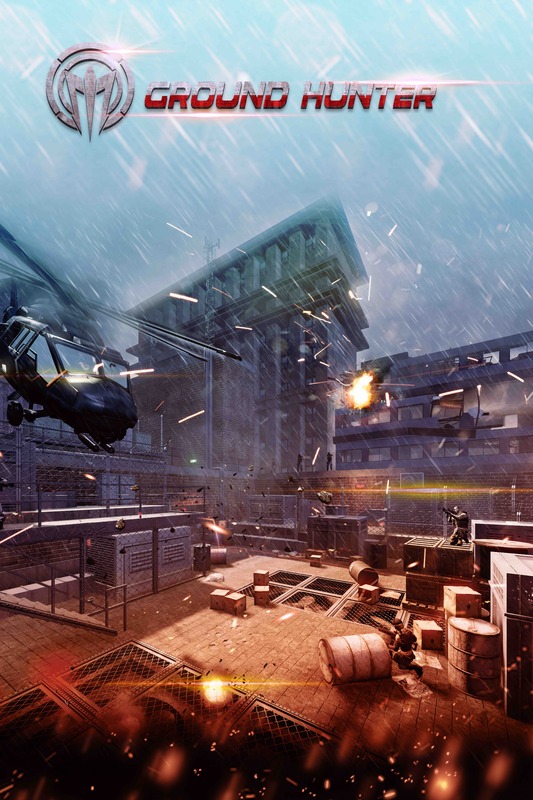 Imagine a game that is as complicated as a first-person shooter game but on the blockchain. I think that is going to be fun! From the expertise that gained writing the Smart Contracts for HyperDragons, we applied it to the first person shooter, and we built up the SDK to help it work as a proper game. Guns in the game use ERC721, each gun has many attributes to look out for, and new guns can be made in the weapons factory where you can create a better weapon. Fighting will be similar to the popular shooters games out there now. As for the matches, players can enjoy 5vs5 and 32vs32, similar to what gamers can enjoy on the market. 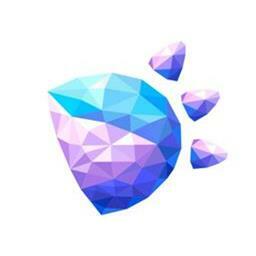 Predictions on who wins will also be included in the game adding more to the overall experience. We plan to release our project sometime around the end of the year, gamers should look out for a game called Ground Hunter, and it will be on Ether.